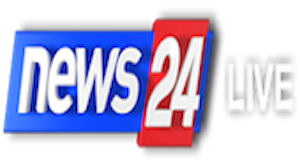 was the first Albanian 24-hour news television channel, founded in 2002 by Italian journalist and former shareholder of Gazeta Shqiptare newspaper, Radio Rash, and Balkanweb portal, Carlo Bollino. The channel's format resembles its Italian equivalent Rai News. News is updated every minute. Television in Albania was first introduced in 1960. RTSH dominated the Albanian broadcasting field up to the mid-1990s, a period when privately owned radio and TV stations started to occupy the vast empty Albanian frequencies. Transition to DTV broadcasting is stalling. Albania at the moment has 2 national commercial television stations, 71 local stations, 83 local cable stations and two commercial multiplexes. Of all the existing national analog television stations, the public broadcaster Radio Televizioni Shqiptar (RTSH) has the greatest reach: its signal covers 80.5% of the territory, followed by Top Channel with 79% and TV Klan with 78%. However, there are also digital multiplexes but they are unaccounted for in the territorial reach figures. It could be said that the other main TV stations, based in Tirana, whose signal covers a significant part of the territory include: Ora News, News 24, Vizion Plus, A1 Report, and Albanian Screen TV. Apart from Vizion Plus TV and Albanian Screen TV, the other stations are all-news ones. Below is a list of television stations and TV providers broadcasting in the Republic of Albania.